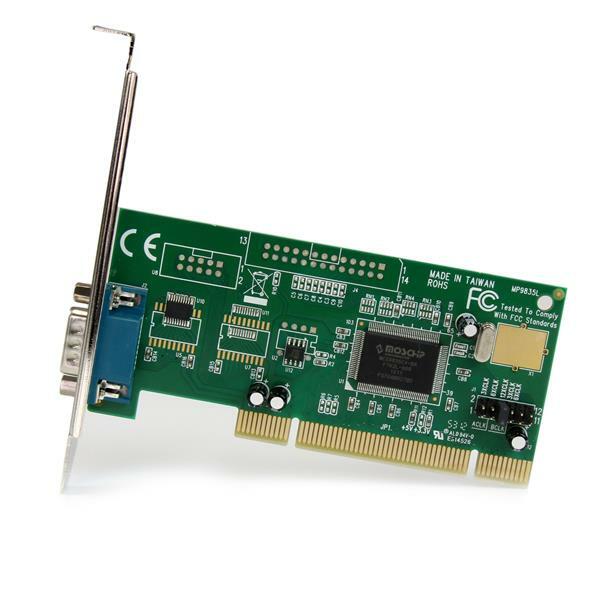 The PCI1S550 16550 Serial PCI Card can be installed in a PCI slot to add one RS232 serial port - a cost-effective solution for connecting any new serial device or old legacy serial device, with data transfer rates of up to 115.2 Kbps. 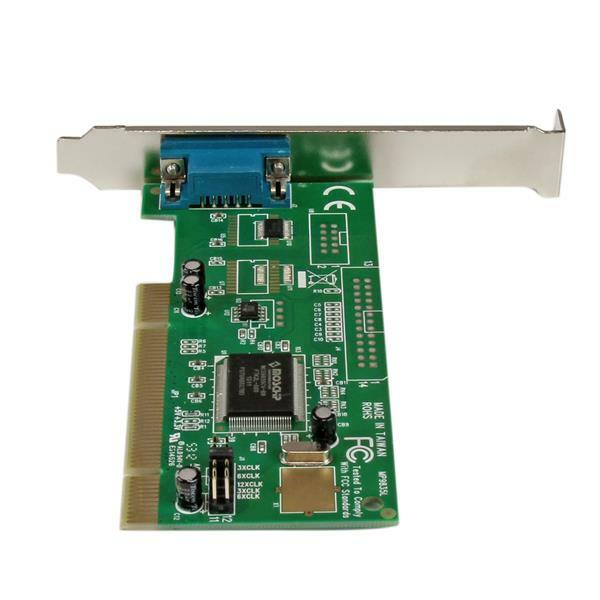 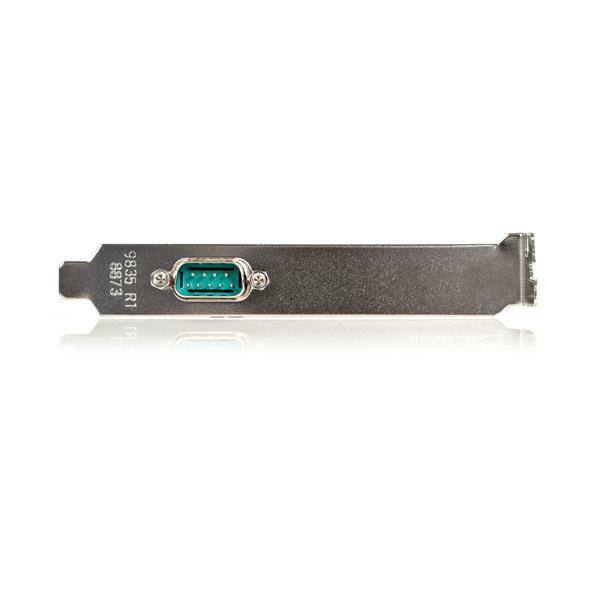 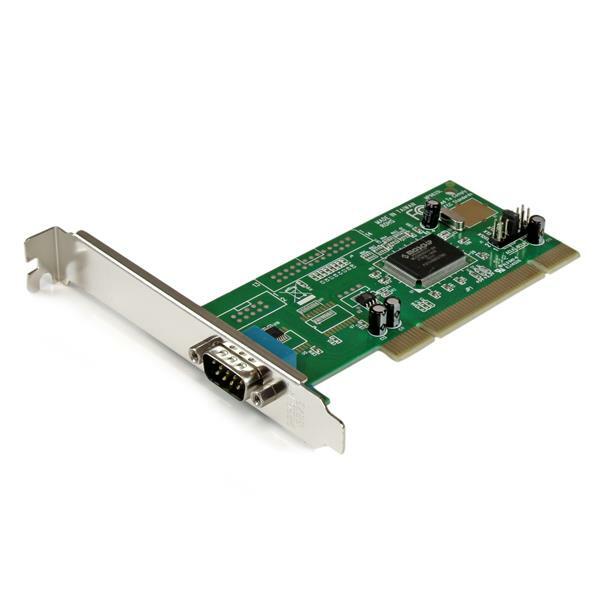 Perfect for connecting serial modems, POS devices, PDAs, digital cameras, printers, ISDN terminal adapters and more, to your system, the 1 serial port PCI card supports IRQ sharing and operates flawlessly in Windows®, DOS® and Linux® platforms. 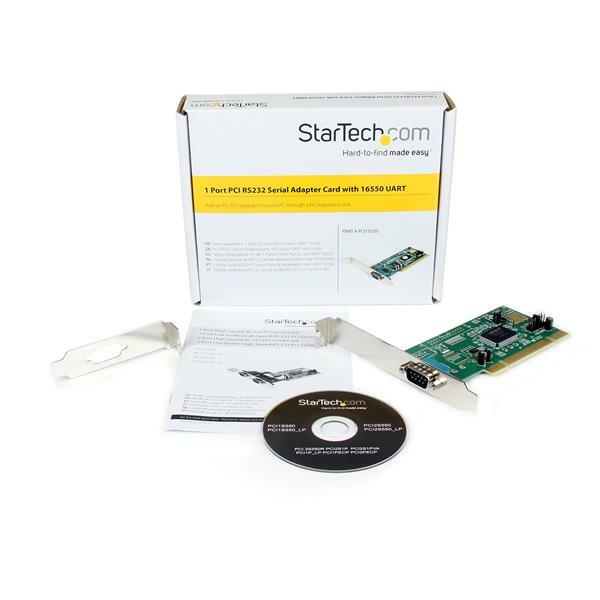 A convenient easy to install solution, the PCI serial card can be connected in minutes through simple plug and play installation and is backed by a StarTech.com lifetime warranty and free lifetime technical support.